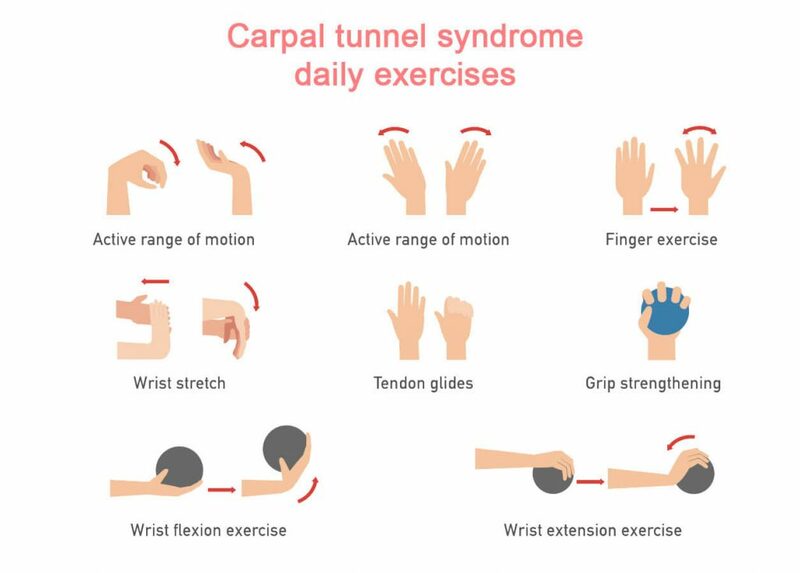 Most people have heard of carpal tunnel syndrome because tens of millions of people are experiencing its symptoms each year. The painful disorder exists when the carpal tunnel in the wrist that protects the median nerve is compressed. The compression is due to inflammation causing swelling in the tendons and ligaments in the carpal tunnel, creating pressure on the median nerve. The symptoms of carpal tunnel syndrome may disappear when swelling goes down and relieves the pressure. However, millions of people live with the condition on a daily basis. 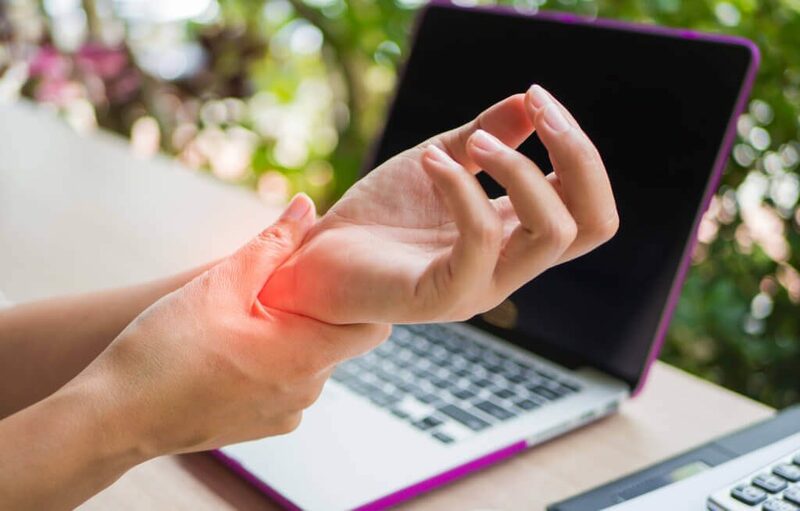 The carpal tunnel syndrome is painful and leads to hand and wrist weakness, making it difficult to accomplish certain activities in personal and work lives. frequent dropping of items because of lack of feeling and weakness in the hand. In severe cases, the muscles at the base of the thumb may shrink. The fingers affected are the ones served by the nerve running through the carpal tunnel: thumb, middle finger, ring finger and index finger. construction workers using hand hammers and other tools that jar the wrist. Some of the simplest daily and work activities become difficult and painful. It can prevent people from being able to pick up small objects, maintain the rate of task completion at work, force a person to choose a different occupation, affect the ability to enjoy hobbies and prevent someone from participating in recreational activities. The carpal tunnel disease is not a life threatening condition but it can significantly lower the quality of life. When people cannot enjoy life because of pain, numbness or weakness in the hands and wrists, they are exhausted mentally and emotionally, as well as physically. A lot of people choose to avoid surgery for the carpal tunnel condition, so it is important to adopt a self-treatment plan. Carpal tunnel that is left untreated can lead to permanent muscle (atrophy) and nerve damage in the hand and wrist. Wear a wrist splint or brace at night (many people sleep with their wrist flexed and wake up with numbness) and at times throughout the day. Shake and then hang the hand over the side of the bed at night. Take over-the-counter nonsteroidal anti-inflammatory drugs (NSAIDs). Take changes at the workstation that ensure the arm, keep wrists and hands aligned and in a neutral position, i.e. raise the desk chair or adjust the keyboard’s height. Maintain awareness of wrist and alignment while performing any repetitive task, making corrections as necessary. Take frequent breaks from any task that causes discomfort in the wrist and hand. Do stretching hand and wrist exercises each day that increase grip strength and reduce tightness in the wrist. Ice the wrist twice a day. 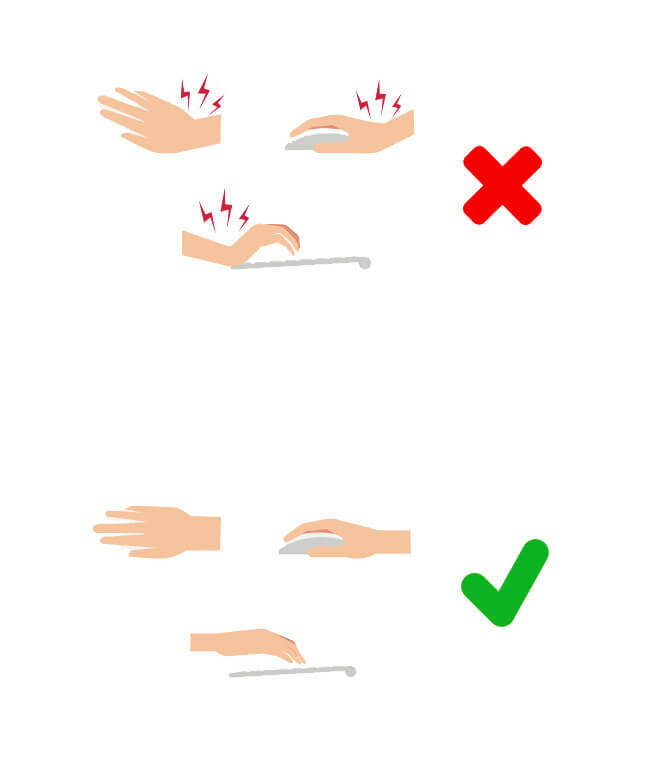 Immerse the hand in warm water twice a day and flex the wrist. Carefully follow the pain treatments recommended by your physician. Until the symptoms improve, stop doing activities that may be contributing to carpal tunnel symptoms. If the self-care treatment plan does not bring enough relief, physical therapy sessions often help. Surgery is always an option; it brings relief in 90 % of the cases. Trigger point injection therapy is used for pain relief caused by trigger points. These points represent dense knots of muscles that are sensitive to pressure, touch and irritate surrounding nerves. muscle overuse involving repetitive movements. Weakened, inflamed or overstretched muscles heal in a way that leads to tight, twisted or knotted ones. The knotted fibers restrict blood flow to the muscles, and it keeps them tight and stiff, causing pain and a restricted range of motion. Trigger points impact the muscle’s willingness to stretch or contract, making movement painful. Trigger point injections are usually not used as a treatment until other treatments, like medications and exercises, have been tried for four to six weeks. If the pain does not improve, trigger point injections may provide the pain relief sought. The trigger point injection does not take long to complete. Who gives trigger point injections? Injections are made by a physician in the Spine and pain clinic. Typically, it is general practitioners, neurologists, rheumatologists, pain-management specialists and rehabilitation doctors who give the injections. Patient sits or lies down. Physician locates the trigger point targeted for injection via manual palpitation. A numbing solution may or may not be applied before the injection. A small needle is inserted into the trigger point. 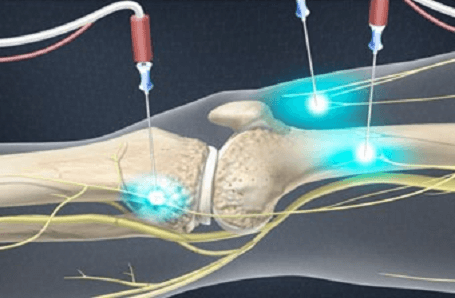 An injection of an anesthetic or mixture of anesthetics, with a corticosteroid added sometimes, is made directly into the trigger point via the needle. Sometimes a needle is inserted without medication, or only a saline solution is administered, with the goal to make the trigger point inactive. The anesthetic and steroid medicine provide fast relief, relaxing the tight muscles. People who experience chronic pain may have trigger point recurrence. 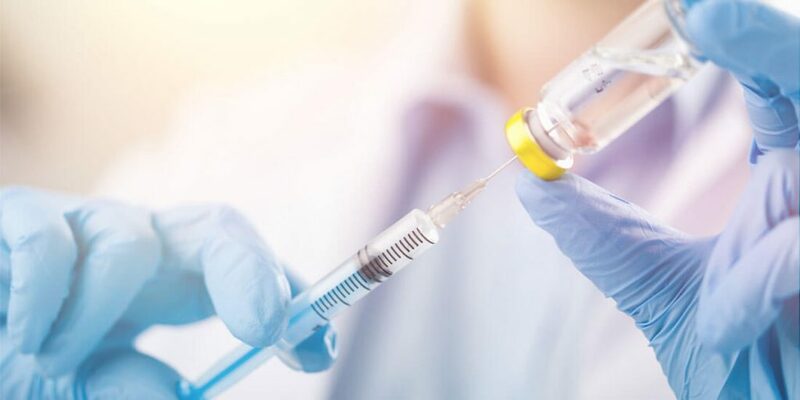 In this case, the patient will get the trigger point injections regularly, but no more than three times to the same trigger point to avoid scarring and muscle damage. If only the anesthetic is applied, the injection can be administered once a month. 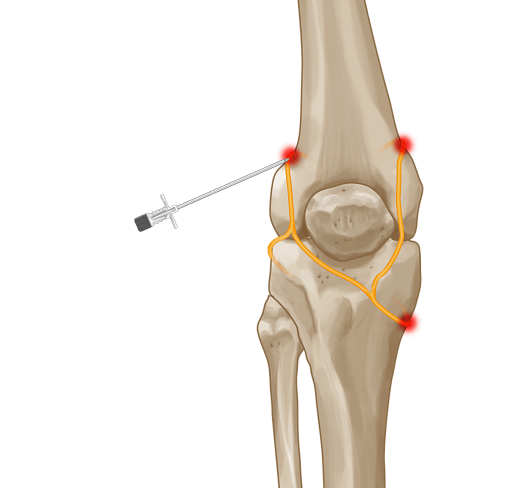 If the corticosteroid is used, the trigger point injection cannot be given so often. Steroids used over the long term can cause tissue damage. Do trigger point injections hurt? Usually, the only complication is swelling or soreness at the injection site. Application of heat or ice, and taking over-the-counter NSAIDs, may be helpful. Infrequently, patients experience muscle spasms or balance problems due to changes in the muscles. If the patients got the trigger point injections into the leg or arm, they are not allowed to drive. 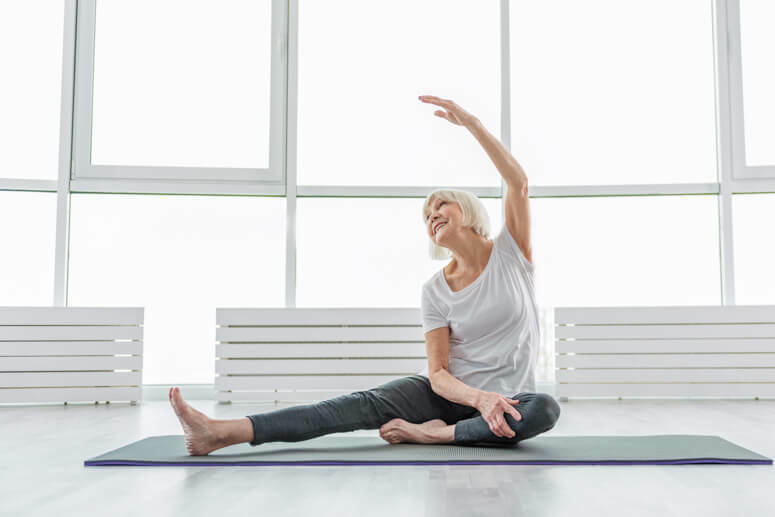 For the first 24 hours after the procedure, patients should do mild stretching exercises to help stretch tissues in the treated area. The physician will give the patient all necessary instructions. Back pain can be a significant hindrance to a high quality of life. It can leave patients unable to sit or walk comfortably and may keep them from their work, family events or hobbies. 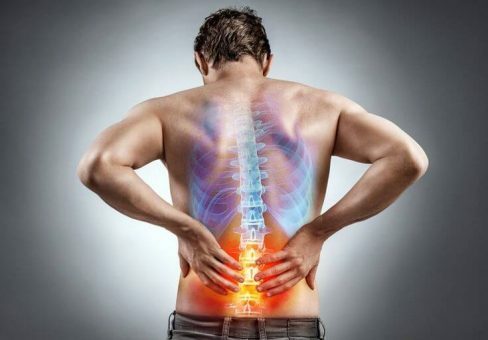 The back is one of the most frequent locations for chronic pain because of the long line of vertebral bones and intervertebral discs that must be in perfect condition for a pain-free existence. What Is the Discography Procedure? The discography medical test is one option for diagnosing the cause of back pain. During this test, the doctor will inject a special dye into each intervertebral disc. Pain with injection indicates that a particular disc may be to blame for the chronic pain. Once the dye is injected, the doctor will take a special X-ray, called a discogram, to look for tears or other issues within the discs. The dye allows for clear X-rays. Patients may need to have several pre-procedure tests performed to ensure that their bodies can handle the discography. For example, the doctor may order a blood test to check for clotting speed and kidney health. The doctor will also give each patient specific instructions, such as which medications to take in the morning and when the patient should stop eating and drinking. Usually, blood thinners will need to be stopped several days in advance to reduce the risk of dangerous bleeding issues. Patients should be sure to discuss concerns with their doctors before the procedure. They should discuss possible allergies to anesthetics or contrast dyes as well as the possibility of pregnancy for female patients. Most discograms are done as outpatient procedures, meaning that patients will mainly recover at home. It is normal to have some pain for several hours and up to a day or two at the injection sites. However, patients should immediately call their doctors if they experience severe, debilitating back pain, back pain that worsens or a high fever within the next couple of weeks. Discography offers several distinct benefits for patients suffering from chronic back pain. Improved ability to choose the correct treatment. However, patients should consider discogram risks to determine if risks outweigh the benefits for their circumstances. 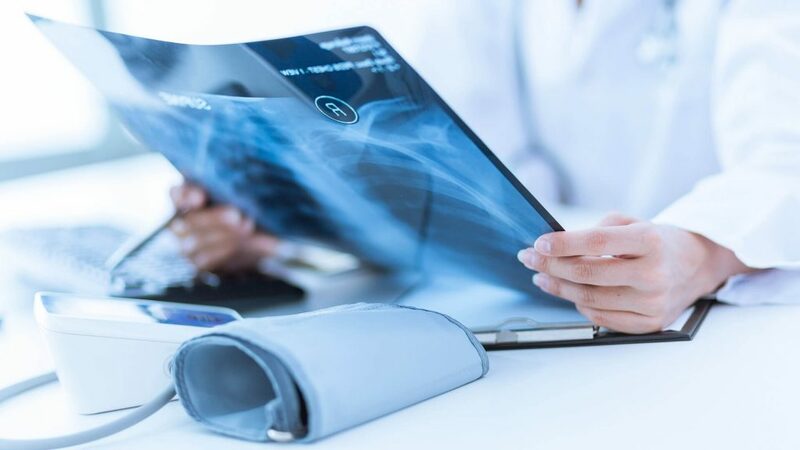 In most cases, the results from the discography procedure are looked at along with the results from other tests or during physical assessments to determine the correct treatment for the patient. However, discography is often the best procedure to guide the treatment for intervertebral disc pain. A common condition people experience is carpal tunnel syndrome. It is called a syndrome because it presents itself with a consistent group of symptoms in the wrist and hand, including pain and weakness. It is not a life threatening condition, but it can interfere with the ability to work and limit other activities. Controls some of the small muscles located at the base of the thumb. Any medical condition involving the hand can create serious difficulties with completing a variety of tasks at home and work, or while enjoying athletic or recreational activities. 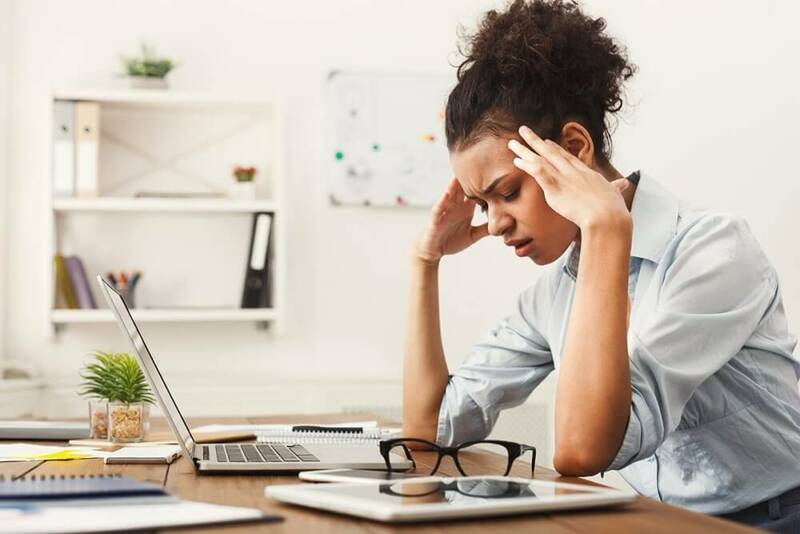 Repetitive motions are one of the most frequent carpal tunnel syndrome causes, often occurring in people who do a lot of typing, perform the same repetitive task at work and/or regularly use vibrating hand tools. The nerve compression is more likely to develop when the repetitive activity involves holding the hand lower than the wrist. Some of the medical conditions leading to the carpal tunnel condition include rheumatoid arthritis, hypothyroidism and diabetes. 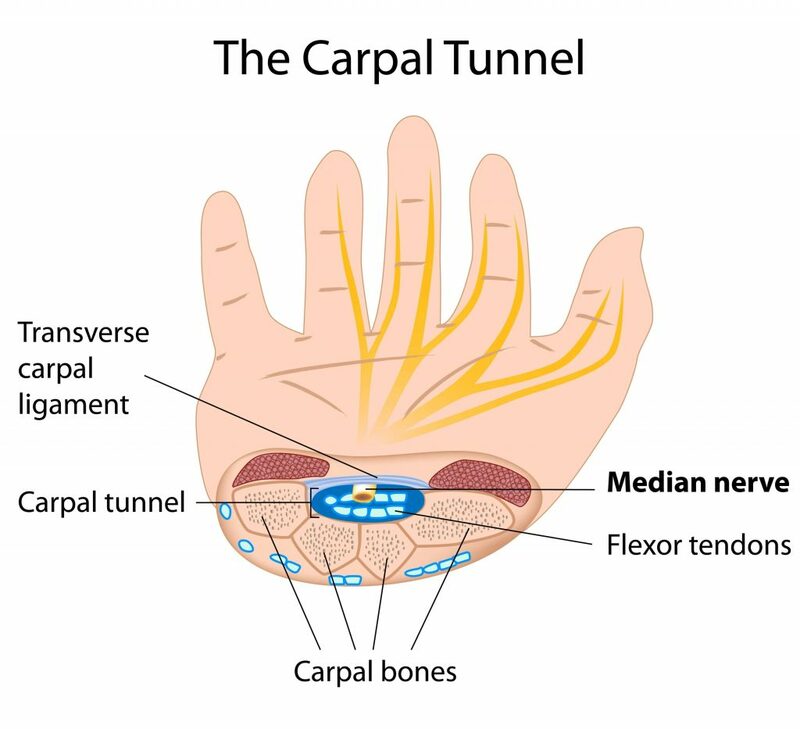 In rare cases, a tumor or cyst in the carpal tunnel causes nerve compression. Fingers served by the median nerve feel swollen when no outward swelling is present. Fingers served by the median nerve become difficult to use and sometimes are useless. Tingling in the wrist or hand. Reduced ability to experience hot and cold through touch. Pain that begins in the wrist and moves up the arm. Ache or discomfort in the hand or wrist. Chronic condition that leads to wasted muscles located at the base of the thumb. Since the symptoms appear gradually, it can take some time before a person realizes the condition is developing. One of the early symptoms for some people is waking up with a tingling feeling or numbness in the hand due to sleeping with a bent wrist. Each person experiences different symptoms. However, once it develops, the condition often gets worse over time. Getting a medical history to determine if the patient does repetitive activities or other activities frequently involving the wrist and hand, or has a medical condition that could lead to carpal tunnel narrowing. Physical examination of the arms, shoulders, neck, arms, hand and wrist to identify potential points of weakness or tenderness, swelling or warmth; fingers are tested for grip strength and feeling; wrist muscles are assessed for strength or indications of muscle atrophy (some medical conditions like inflammatory myopathies cause muscle inflammation in the wrist). Taking X-rays to rule out conditions like bone fractures or arthritis that have distorted bones. Completing routine laboratory tests to identify and/or rule out medical conditions like diabetes that can cause the carpal tunnel condition. Magnetic resonance imaging (MRI) – shows the anatomy of all structures in the wrist. Early detection of carpal tunnel can often mean avoiding surgery. 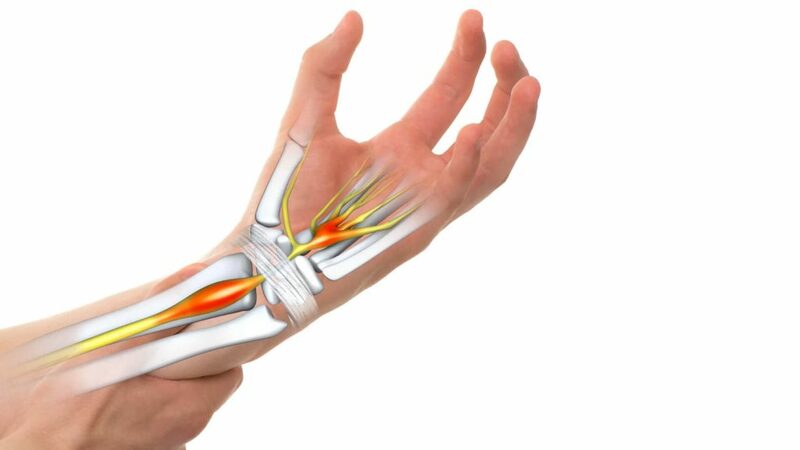 The sooner carpal tunnel syndrome treatment is initiated, the more likely non-surgical treatments will work. A carpal tunnel syndrome cure is possible. Splinting the wrist to hold it still and straight while sleeping is one of the first treatments tried. Corticosteroid injection – corticosteroids are medications that can relieve pain. Nonsteroidal anti-inflammatory drugs (NSAIDs) – over the counter or prescription strength NSAIDs can reduce inflammation and pain. Treat other medical conditions – treating conditions like rheumatoid arthritis may lessen the symptoms of carpal tunnel. Starting a regimen of carpal tunnel exercises – specific wrist and hand exercises can be done at home to relieve symptoms and stretch tight tendons. There are a number of carpal tunnel syndrome exercises a patient can do at home that may prevent the condition from getting worse. They include flexing or stretching the wrist, fanning the fingers and doing tendon or nerve gliding. Endoscopic surgery – surgeon makes two incisions in the wrist and palm, inserts a tiny camera, observes the wrist structures, and cuts the carpal ligament that holds the joint together. Open release surgery – surgeon makes an incision in the wrist and cuts the carpal ligament to widen the carpal tunnel. For most people, the outcome of treatment for carpal tunnel syndrome is excellent. Though recovery from surgery may be gradual, the end result is likely to be full recovery. This assumes there is not another medical condition involved. Carpal tunnel syndrome usually does not reoccur. Osteoporosis means “porous bone” and is a disease in which there is a loss of bone. Porous bones are fragile and more easily fractured. 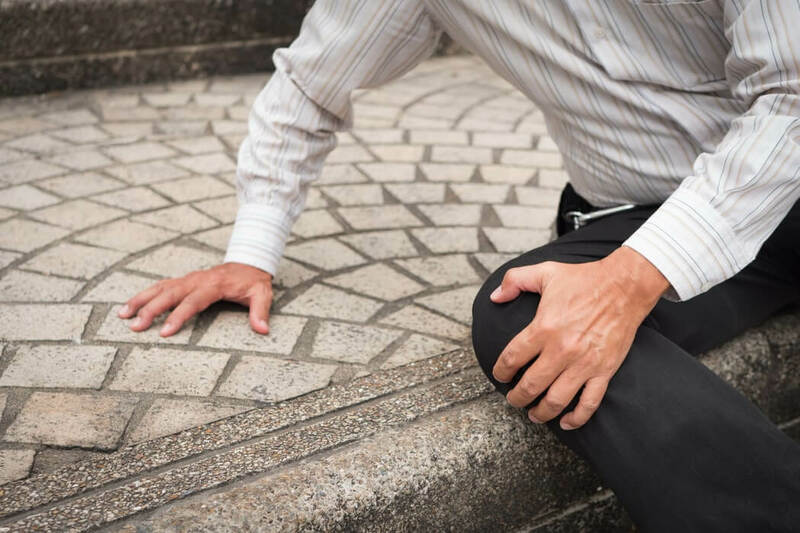 It is a silent disease, and people often find out they have it when a simple movement or light impact causes a fracture. Exercise is important to bone health and to prevent or slow the progression of osteoporosis. There is a variety of exercises that have proven to strengthen bones. Exercise offers multiple benefits at any stage of osteoporosis. In fact, if a person gets regular exercise and good nutrition in her or his lifetime, osteoporosis is less likely to develop during the aging process. It is tempting to think that an osteoporosis diagnosis means that it is too late to start an exercise routine, but that is not true. Sometimes people erroneously think that exercising will increase the chances of experiencing a bone fracture and avoid exercising as a result. The truth is the opposite. Appropriate exercise routines will strengthen bones and muscles, and improve balance and flexibility. Balance and flexibility improvement exercises to keep tendons and ligaments flexible to reduce the chance of falling. Exercises will benefit all of the bones in the body, but it is important to place special focus on the bones that have developed osteopenia or osteoporosis. Osteopenia is bone thinning that has not become osteoporosis yet. The most common fractures due to osteoporosis occur in the wrist, spine and/or hip. Osteoporosis and exercise go hand-in-hand. One of the good things to know is that there are a large variety of suitable exercises that can reduce the chances of developing osteoporosis or slow the rate of progression. People can choose the ones that best fit their needs and lifestyle. Weight-bearing exercises for osteoporosis focus on movements that use bones to support weight while also providing aerobic benefits. The exercises require the person to be on their feet while moving. Good exercises include walking, stair climbing, hiking, dancing, jumping rope, using gym equipment like an elliptical machine or treadmill, and doing low-impact aerobatics. How does resistance training prevent osteoporosis? Resistance exercises are designed to force the muscles to contract against some kind of force or weight. Muscles are strengthened which improves coordination and flexibility. Like weight-bearing exercises, resistance training also increases bone density. As a result, the person with osteoporosis is less likely to experience bone fractures due to falls and other incidents. Resistance exercises include using elastic exercise bands, lifting your own body weight and lifting light weights. Pilates and yoga for osteoporosis can strengthen many of the body’s muscles, which improve balance and flexibility. These two types of exercises have several characteristics that are ideal for people with osteoporosis or trying to prevent osteoporosis. They are low impact, weight bearing, strengthen muscles and improve balance and flexibility. If the osteoporosis is advanced, it is important to get advice from a medical professional as to the appropriate exercises. These types of exercises can require significant bending which can strain the spine. How to do specific exercises that slow bone loss and build muscle strength. The osteoporosis exercises to avoid, like high-impact exercises or exercises requiring too much spine bending that can lead to fractures. The appropriate amount of weights to use during weight bearing exercises for osteoporosis. Proper posture to reduce the chances of a spinal fracture. Specific exercises for particular bones and joints, like exercises for osteoporosis of the hip such as hip leg lifts; hip fractures are common in people with osteoporosis. How to maintain body alignment while doing a variety of activities throughout the day to reduce stress on the spine and other joints. Sessions of physical therapy for osteoporosis will include the patient doing exercises under the watchful eye of the therapist in a clinical setting plus consultations to develop a home-based exercise treatment plan. Statistically, women are four times more likely than men to develop the bone disease, but osteoporosis afflicts men and women. The National Osteoporosis Foundation statistics indicate more than 54 million men and women live with osteopenia or osteoporosis, and 55-percent are over the age of 50. The first step is to see a physician who will diagnose the condition and help the patient get on the right path for preventing more bone loss and painful fractures with a treatment plan that includes exercises. The construction of the shoulder joint includes a delicate and complex balance of muscles and tendons. The shoulder is used in a variety of activities, and it is the rotator cuff that contributes to the range of motion. The tissues making up the rotator cuff are vulnerable to a variety of conditions like tendinitis and bursitis, but they are also subject to painful injuries like tendon tears. Any injury to the rotator cuff can interfere with life activities, but fortunately there are a number of treatment options available to restore shoulder functioning. The rotator cuff consists of tendons and muscles that enable a person to rotate the arm and to raise the arm over the head. It is called a “cuff” because the muscles and tendons form a cuff over the ball of the upper arm bone in the shoulder socket. 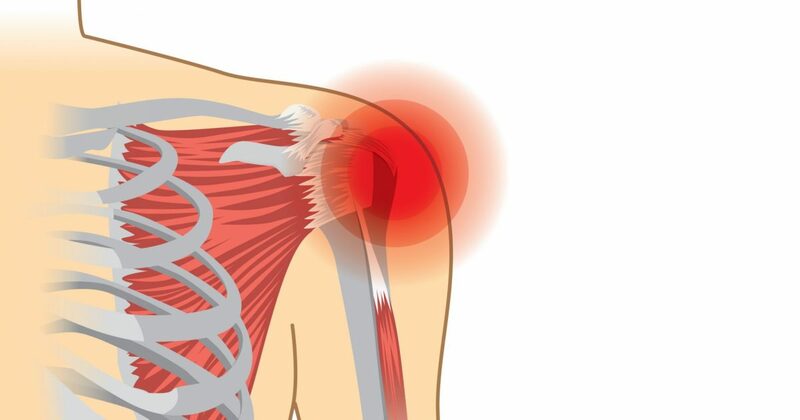 Each muscle in the rotator cuff enables certain movements. Infraspinatus – primary muscle enabling the rotation and extension of the shoulder. Supraspinatus – muscle that works to keep the upper arm stable and assists with lifting the arm; it also holds the humerus (long bone in the upper arm) in place. Subscapularis – muscle enabling several movements that include arm rotation, the ability to hold the arm straight out and the ability to lower the arm; it also holds the upper arm bone to the shoulder blade. Teres Minor – smallest rotator cuff muscle that assists with the ability to rotate the arm while the arm is stretched out from the body. There are three more muscles in the shoulder that are not part of the rotator cuff. Tendons attach the muscles to bones. Working together, the muscles and tendons stabilize and strengthen the shoulder during the various movements. Rotator impingement syndrome – rotator cuff tendons are trapped and compressed while moving the shoulder. Rotator cuff tendonitis – tendons get irritated or inflamed. Shoulder bursitis – inflammation of the small, fluid-filled sacs called bursae. Calcific tendonitis – calcium deposits form bone spurs on the underside of the acromion bone, and arm movement causes the spurs to rub the tendon. Tear – a rotator cuff tear is a tear in the tendons. Infection inflames the bursa or tendons. People tend to experience injuries due to repetitive movements when they have a job requiring the same shoulder movement, like painting, or are involved in sports. The arm is repeatedly lifted overhead, causing wear and tear on the tendons. Crepitus, an abnormal crackling or popping sound, when the shoulder or arm is moved; often accompanied by a crunching sensation that may be painful. The reduction in shoulder function varies, depending on the size or depth of the tear. When there is a small tear, the arm can still be lifted, and it may or may not be accompanied by pain. A moderate tear makes it difficult to lift or move the arm, and movement is painful. A large tear in the rotator cuff is likely to make it impossible to lift the arm, and it is extremely painful. When there is shoulder pain rotator cuff injury is immediately suspected. Many life activities are curtailed when the shoulder is not functioning properly and is painful to move. It may lead to giving up the playing of sports, difficulty performing job duties and problems sleeping. 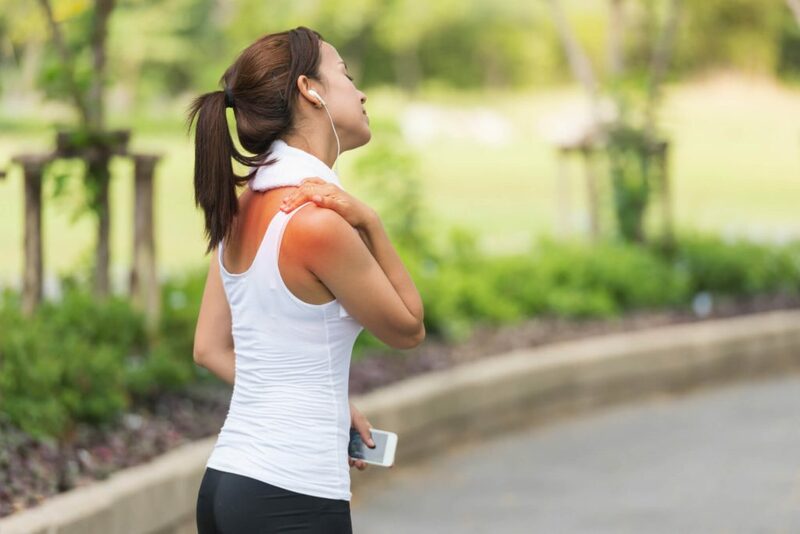 Some people stop moving their arm or shoulder to ease pain, and the shoulder joint freezes up or develops arthritis, creating another medical problem. Frozen shoulder is when the rotator cuff tissue thickens and grows tight. It is important to see a physician to determine the precise problem. Continuing to use the shoulder when there is a tear can lead to the tear getting worse or may lead to permanent loss of range of motion or weakness. It is chronic pain that often drives people to see a medical professional. The physician will discuss the history of the injury and do a medical examination of the shoulder. The medical examination will include a rotator cuff injury test consisting of different motions to explore the current range of shoulder movement and muscle strength. For example, the patient will be asked to place a hand on the small of the back with the palm facing outward and then try to lift the hand away from the back. The physician will also rule out other medical issues that may be causing pain, like a pinched nerve. Magnetic Resonance Imaging (MRI) – radio waves produce images of all the shoulder structures. Ultrasound – sound waves produce images of shoulder structures, allowing dynamic testing as the shoulder is moved. Any rotator cuff treatment the physician recommends is focused on reducing pain and restoring shoulder and arm functioning. Nonsurgical treatments are almost always tried first, making surgery a last resort. The best treatment depends on the type and extent of the injury. Rest the shoulder to allow for healing but not long enough to develop frozen shoulder; may wear a sling. Take over-the-counter nonsteroidal anti-inflammatory medications. Apply ice first for a few days to reduce inflammation and pain, followed by applying heat to relax sore and tight muscles. Follow recommended treatments for bursitis or tendinitis, i.e. resting the joint, physical therapy, anti-inflammatory medications, etc. Application of electrical stimulation of nerves and muscles. Steroid injection for temporary relief (limited use because overuse can weaken tendons). Exercise routine, including stretches, intended to restore range of movement, flexibility and shoulder strength. Physiotherapy – combination of treatments that include heat treatment, exercise and physical therapy, rather than drugs or surgery, to strengthen the muscles and improve flexibility. Rotator cuff surgery is frequently used when the tendon is not attached to the bone; there is a large tear; or pain does not improve after trying nonsurgical treatments. There are different types of surgeries to repair rotator cuff injuries. 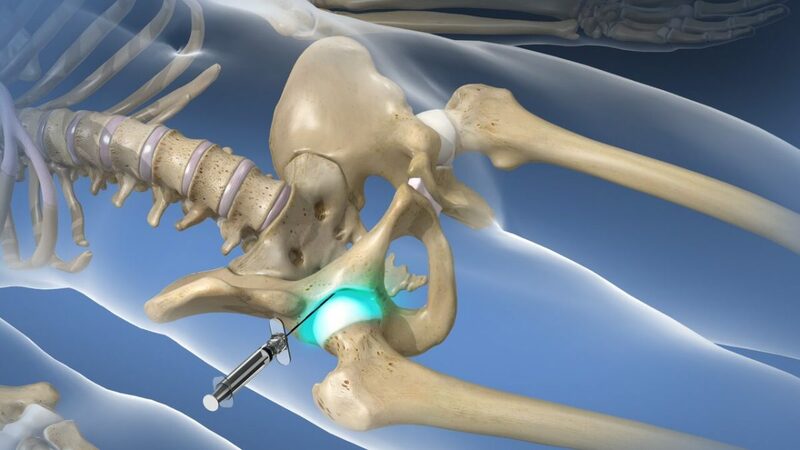 Arthroscopic tendon repair – a tiny camera is inserted through a small incision to reattach a torn tendon to the bone. Tendon transfer – a different tendon than the severely damaged one is attached as a replacement. Open tendon repair – a large incision is made so the surgeon can reattach the damaged tendon to the bone. Shoulder replacement – a surgery of last resort, an artificial joint is installed; in reverse shoulder arthroplasty, the artificial joint’s ball is attached to the shoulder blade and the socket part is attached to the arm bone. The sooner treatment is started when problems appear in the shoulder, the more likely surgery can be avoided. Small tears are less likely to become large tears, additional damage to the rotator cuff is prevented and pain is reduced or eliminated sooner rather than later. Effective treatments enable patients to resume their work and recreational activities. injection of an anesthetic and steroid medication directly into the joint. Pain caused by a damaged joint might be felt in the joint, and sometimes the pain travels to additional places, like down the back of the legs. 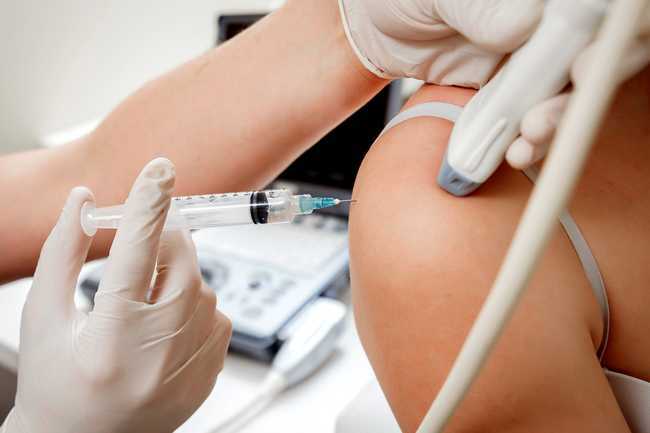 An injection for joint pain is given to patients for one of two reasons. First, it can serve as a diagnostic test to pinpoint the joint causing the pain. Second, it is a treatment option to relieve pain and reduce inflammation. The anesthetic numbs the tissue inside the joint, and the steroid medication reduces inflammation and blocks pain. Facet joints – These are the small joints in the spine. A physician can inject the appropriate medication into any joint in the spine in the cervical (neck and upper spine), thoracic (center) and lumbar (lower) spinal areas. Sacroiliac joint – The two SI joints connect the spine to each hip. Their primary purpose is to support upper body weight while standing or walking, shifting the load to the legs. The pain can occur in the lower back, but it may also be felt in the buttocks, groin or thighs and can travel up the back. Coccyx joint – This joint is often referred to as the tailbone. Consisting of three small bones, it too can get inflamed. Hip joint – The pain from a hip joint issue may be felt inside or outside the hip or in the groin, buttocks or upper thigh. Shoulder joint – Pain in the shoulder joint is caused by a variety of medical issues that include bursitis, tendinitis, tear in the rotator cuff, inflammatory arthritis and “frozen shoulder” (adhesive capsulitis). Knee joint – Pain in the knee joint is often due to arthritis, gout (uric acid buildup), inflammation from injury or normal wear and tear, or chondromalacia patella which is when cartilage under the kneecap is damaged. Other joints – Other joints frequently causing pain include the elbows, hands, ankles and feet. A joint injection does not take long. Most procedures are finished within 20 minutes. Before the procedure is done, the physician will order imaging studies to assess the best injection location. Usually, the injection is given on an outpatient basis, including in a doctor’s office. The main requirement is availability of fluoroscopic equipment that is usually used to help the physician inject the fluids into the ideal location. The patient is awake and alert during the procedure. The patient lies on a table. A local anesthetic is applied to the skin first to minimize discomfort or pain associated with the medication injection. Using a fluoroscope (type of X-ray machine) as a visual guide, a hollow needle is inserted into the joint. The anesthetic and corticosteroid, or other types of medications, are injected into the joint through the hollow needed. The physician may need to drain some fluid from the joint first to make room for the medications and to relieve joint pressure. This is common with a knee joint injection. In some cases, it may take more than one injection in various locations. For example, a facet joint injection might be needed in several of the spine’s joints. How Often Should the Procedure Take Place? In general, if the joints causing the pain were the ones injected, joint pain relief is felt within a day or two, and can last for months. If the pain continues for 2-3 weeks, or flares up again, the procedure can be repeated. Generally, injections are limited to four times a year, whether spaced out to once a quarter or given in a weekly or monthly series. There are usually few joint injection side effects, and they are temporary. The specific side effects depend on the joint receiving the injections. For example, a sacroiliac joint injection may cause some people to experience temporary weakness in the legs, making it difficult to walk for several hours. Joint remains numb from the anesthetic for several hours, after which pain may be felt for a couple of days until the medication reduces the inflammation. Temporary bruising at the injection sites. Reaction to medical conditions, like elevated blood sugar in people with diabetes (It is critical to inform the physician of any and all chronic medical conditions and medications). Physical responses to corticosteroid, i.e. weight gain, water retention, etc. In most cases, any side effects are gone within a few days to a week. Millions of people each year find needed pain relief with joint injections. Joint pain is not something that must be endured because help is available. Consult with a physician to learn the options available.